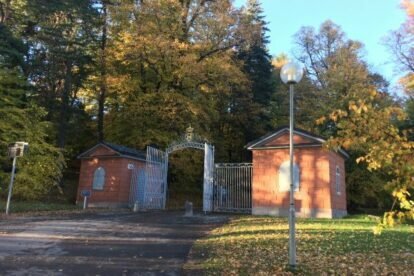 Hagaparken – A lovely walk – is the princess home? One of the things that are very nice about Stockholm is that it has so many green areas, plus the benefits of all the four seasons. Hagaparken is perhaps Sweden’s best example of an English landscape park. It’s known as the ‘Gustavian Park’ as it was made by Gustav III. It’s rather close to Norrtull and the Vasastan area. You can walk past the house of Princess Victoria, who lives here permanently. Or you can find the castle ruin where parts of ‘Ronia, the Robber’s Daughter’ were filmed (a movie based on Astrid Lindgren’s book). It’s a beautiful landscape and rather big, so don’t get lost. You might see some nice wildlife here too. On my walks, I have seen some deer from pretty close up. Also, it is always nice to make a pit stop at the Copper tent (Koppartälten) up one of the hills for a coffee to warm up a little. It’s relatively close to Stockholm University, The National History Museum and maybe a 15-minute walk from St. Eriksgatan metro station (exit Torsplan).